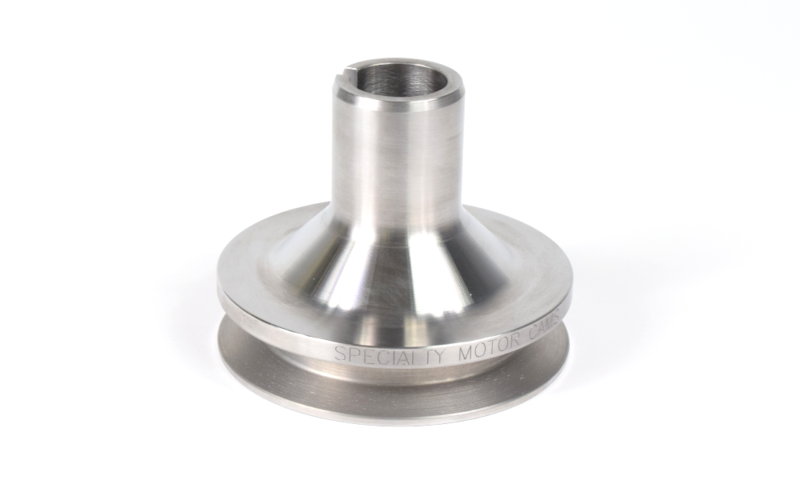 Smaller pulley will slow down the water pump and help prevent cavitation, along with using less horsepower. Timing marks engraved. Uses 5/8"belt.